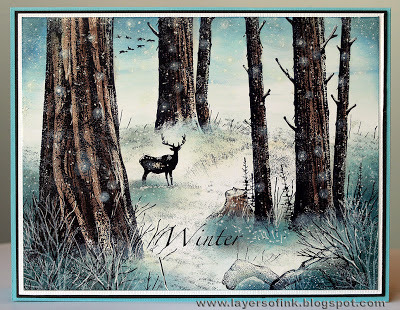 Your challenge this month is to create a "Winter Scene". I know many of you designers out in blogland are creating wonderful winter and Christmas cards but I would like to remind you all that we are looking for a scene with background and foreground images in the scene. Our sponsor this month is Robyn's Fetish. Robyn sent us a few really great images to work with and our Design Team had a great time creating scenes for this challenge. Many of us combined both Robyn's digi image with other rubber stamps to make our scenes. Robyn's Fetish Digital Stamps And More is proud to sponsor the Craft a Scene challenge. Robyn's Fetish Digital Stamps And More, a division of I Did It Creations, was created and is owned by Robyn Weinrib. Robyn offers a wonderful variety of digital stamps and digital papers, designed to meet the needs of all digital paper crafting addicts for every occasion. 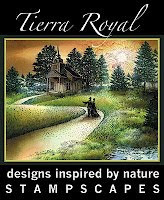 Robyn's Digital Stamps and More is happy to award the winner 5 digital stamps. We are very excited to have Robyn's Fetish as our sponsor and I can't wait to show you how we used her beautiful images in our scenes. These are wonderful! We love the way you incorporated our ROBYN'S FETISH digital stamps with the rubber stamps to create these beautiful scenes on your cards. This shows a completely different way to use our digis! How great is that, right? Thank you so much for inviting us to sponsor your challenge and for these gorgeous sample cards! Beautiful samples from the DT. Hopefully I'll have time this month to do the challenge. Fine theme, very expressive and original DT cards!